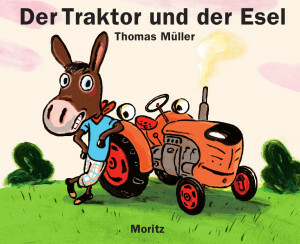 The tractor and the donkey are having a contest: which of them is the fastest and will be the first to reach the seaside? They set off; each determined to win the race. Both encounter various delays and obstacles along the way. Whilst the donkey has to hide and run from the wolf, the tractor is increasingly frustrated with engine problems. Both the tractor and the donkey ultimately wish for the other one to be there—is this the end of their contest? Join their race and find out!